Common Management Admission Test (CMAT) 2017: This CMAT is computer based for the admission of PGDM and MBA programmers in participating institutes. This test is held every year for the various management programmers. Approx 70,000 applicant appears for the examination every year. This examination is National Level Examination which is conducting for the admission process. The Common Management Admission Test is used to be conducted by the All India Council for Technical Education (AICTE). This examination conducting for the management programmers admission every year admission test is held for the admission. Candidate will get here the CMAT 2017 Important Date which is play important role in point of the applicant. So applicant will get here the important dates. The Above given dates are not conformed date we will update the important dates after the official notification. Eligibility criteria are clearness in compulsory for all the applicant. CMAT 2017 Eligibility Criteria are given here seeker can see here. Candidate must have to bachelor degree from recognized university. Candidate should have to do their graduation with minimum 50% of marks. A candidate who belongs to the general they have to score minimum 50% and SC, ST applicant have to score minimum 45% of marks. Application form filling is compulsory for the interstate and eligible applicant. And also have to fill on before the last date. The process of filling the Application form of CMAT 2017 are as follow. Applicant should have to register on the CMAT 2017. After the registration, applicant has to log in. Click on the application from and fill it very carefully. Pay the application form fees by the debit card, credit card, and net banking. Take a print out of the application form for the feather uses. Following are the Participating Institute of CMAT 2017 applicant can see the list which is given down. Candidate will able to download their admit card from the official website. Through the Admit Card of CMAT 2017 applicant will know about the examination center and address. Applicant have to carry their admit card in the examination center with out the admit card applicant will not allow to enter the examination center. With the help of the examination syllabus applicant will know about the subject which they have to study for the Common Management Admission Test. Here applicant will know about the Exam Syllabus CMAT 2017 which is given down. Through the exam pattern applicant can score high marks in their examination. 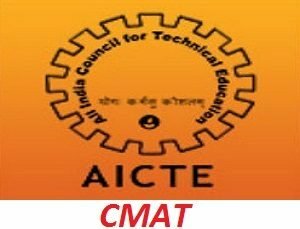 Exam Pattern of CMAT 2017 will know about the wattage of the each subject. Following are the examination paper pattern which is showing down. Following are the CMAT 2017 Selection Process which is given below. The result will be declaring after the entrance examination on the official website. After the examination, their have a huge number of the applicant who is waiting for the CMAT 2017 Result. Here are the process and steps to get the examination result. Click on the official website of the CMAT 2017. Then clicks on CMAT Result link. Fill all the asking details in the box. Hit the submit button after that result will be display n the screen. The Online Application Process for CMAT 2017 is still not started by the AICTE. Only can eligible applicant can fill the application form on the official website. Here applicant will also get the information about the CMAT like eligibility criteria, application form, important dates, and so many think related to the CMAT 2017 applicant get here. Candidate who wishes to ask any queries about the Common Management Admission Test (CMAT) 2017 they are invited to contact us by commenting at the end of the post.